Generous local resident Arthur Flowers wanted to help local fishermen provide for their families in the winter. 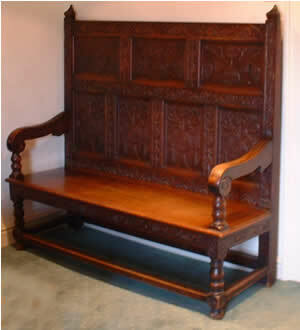 His ingenious solution was to set up wood-carving classes run by a medal-winning craftsman, George Voisey. In 1892 classes began in Trinity Street – and soon took off. Men, women and children brought their own tools and wood, and learned to make furniture, coal boxes, bellows, ornaments and picture frames. Soon pupils were winning prizes of their own. After just 12 months, there were 43 members with a body of work ready for submission to the Annual Exhibition of the Home Arts and Industries Association in the Royal Albert Hall in London. Their work fetched a handsome £44. The waiting list grew and Arthur Flowers paid to build a dedicated premises in Park Lane – the School of Industrial Art. It opened in 1894 and was a roaring success. London exhibitions continued and, at one of these, at the turn of the century, Southwold woodcarvers won nine certificates of merit and gained an important customer - Princess Louise. The school finally closed with the onset of war in 1914. After the war, this extraordinary building became first a teashop and then a private residence which is what it remains today. The woodcarving tradition of the town survived well beyond the school's demise. 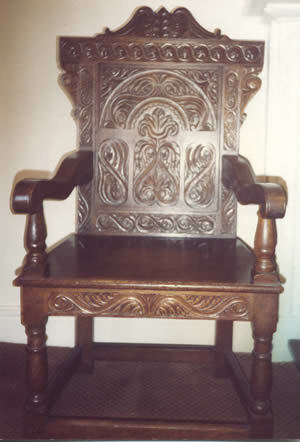 The Town Mayor's chair and desk were carved in 1926 from a 1000-year-old trunk of bog oak found on Benacre beach. 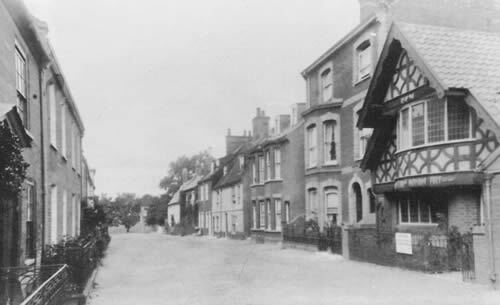 The craftsman was William Bennett a former pupil of the school. William Tooke carved his own wooden 'headstone' which may still be seen in St Edmund's Churchyard. This is an illustration of its design.